This is a picture of Mary Tabitha "Tobe" Edwards (born 30 April 1875 and died probably in the 1940s) and her husband Charlie Meredith. 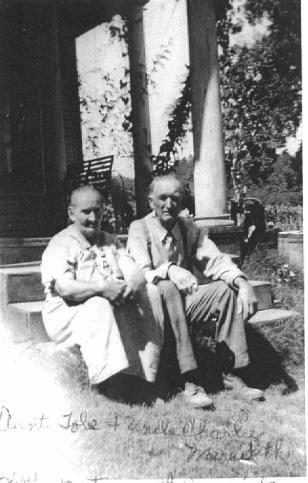 They lived in the Madisonville area of Hopkins County, Kentucky. Aunt Tobe was the daughter of William Asbury "Billy" Edwards and Nancy Josephine "Josie" (Herrod) Edwards.